As a new season of the Barclays Premier League begins, the questions on every fans mind is “Did City really pay 49 million pounds for Raheem Sterling?”. “How many goals will Mario Balotelli NOT score this season?”. “Will Arsene Wenger yet again succeed in failing?”. And of course the big one; Who will be crowned champions!? Last years well deserved champions Chelsea started off with a boring draw against Welsh side Swansea. Having sold club legend Petr Cech and in well regard one of the best goalkeepers in the world to arch rivals Arsenal, things ironically backfired when current #1 Courtois was sent off on matchday one. Not to mention the clean sheet Petr Cech kept against his former club to see his current employers lift the Community Shield. Nonetheless it seems to have been a poor transfer window for the champions, having also signed former Manchester United loanee Radamel Falcao. The Old Trafford misfit only scored 4 goals for the Red Devils while his last goal came back in January of last season. Let’s see how Mourinho sees his Chelsea side defend their title. After an ease on the Financial Fair Play rules, Manchester City have flexed their financial muscle this summer window as they lashed out a staggering 49 million pounds for former Liverpool youngster. Still at a ripe age, only time and Sterling himself can answer to how this investment will pay off for the Citizens. But in the trio of David Silva, Raheem Sterling and Kun Aguero, there is no question as to how exciting it will be to watch the blue half of Manchester this year. Perhaps the top story of this transfer window is the 11 million pound switch of Petr Cech from Chelsea to Arsenal. A clever piece of business by Arsene Wenger. Though a questionable move by Mourinho which may well come back to haunt him in the final weeks of the campaign. Let’s for a moment forget Cech’s Premier League debut for Arsenal. Having said that, Arsenal do indeed have a strong squad to challenge for the title without excuses. With the imminent arrival of Real Madrid hitman Karim Benzema, the question will remain “Is Arsene Wenger a speacialist in failure?”. Having signed more players than any other of their rivals, Liverpool can well look forward to yet another dissapointing season under the helm of Brendan Rogers. Splashing out 32 million pounds for Christian Benteke from Aston Villa was surely a panic buy by the Merseyside club. Having not addressed the main area of concern in the goalkeeping position will come back to bite LFC when Simon Mignolet starts fumbling balls in the coming weeks. Losing a legend like Steven Gerrard will also prove key in terms of how Liverpool will play under their new shaped midfield. After back to back dissapointing seasons under David Moyes and Louis Van Gaal, Manchester United will for the first time (post Alex Ferguson era) make a push for the title. Having signed exciting young, strong, and world class players in Memphis Depay, Morgan Schneiderlin, Bayern Munich legend Bastien Schweinsteiger, Italian right back Matteo Darmian, United still need to address a few areas of concern. Mainly starting with their prime man David de Gea. The Spaniards imminent departure means the position between the posts is up for grabs at Old Trafford. While British record signing Angel Di Maria has got his wish to join French side PSG, United are left with a missing piece of creativity and speed in the final third. Surely something Van Gaal must resolve before the transfer window shuts. Whether United get back to their glory days or not rests on how smart they spend in this transfer window. A couple more key players may well turn the Red Devils into serious title contenders. As a United fan myself, I cant wait to see how this season unfolds. After the victory over Spurs and a 3 point start to the campaign, im more hopeful than ever. 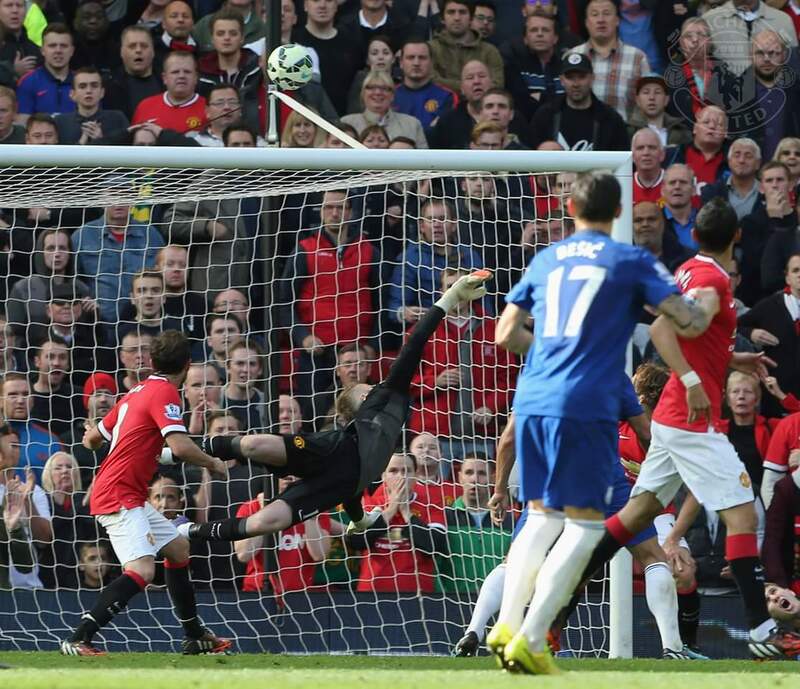 I was there when David De Gea made this save!